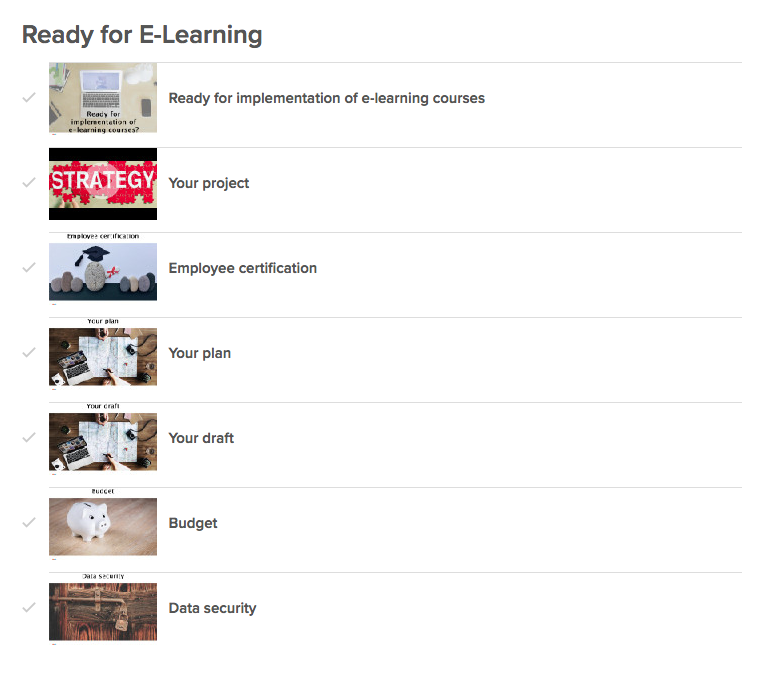 The table of contents of an e-learning course serves as an orientation when it comes to learning contents and status. Up to now, it was displayed as a classic list by default. With the new Coursepath update, you now have extended possibilities for the display of the table of contents. We will briefly introduce the three options below. It’s visual! Insert a thumbnail image to make the module overview appealing. PowerPoint slides or other images that are displayed in the document viewer within the learning step are directly taken over as thumbnails. This also applies to videos, no matter whether they are uploaded directly on Coursepath or embedded via iframe. You can also select a different image for the thumbnail manually. 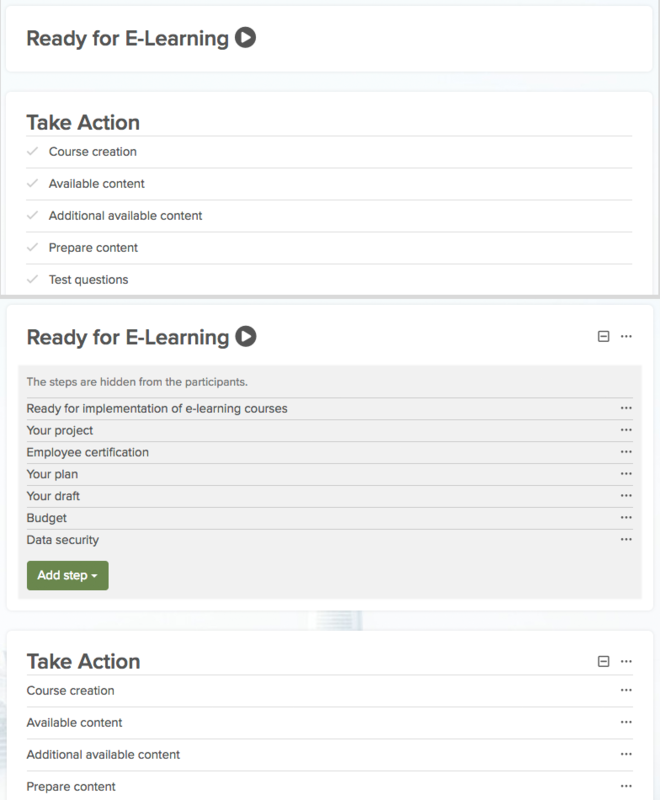 To do so, click the points for the menu of the respective learning step and then select “upload thumbnail”. Afterwards, you can browse files on your computer and upload them as usual. Thumbnails make your TOC visually appealing. It’s compact! You would rather have a brief overview of modules within the table of contents? No problem! Selecting the display option Collapsed hides the separate steps in the table of contents. Being author of the course, you will of course keep the overview. However, participants will only see the superordinate module within the table of contents. This depiction is indicated by the “play” icon next to the module name. With all the news, one thing has remained: the previous displaying of modules within the table of contents is still available – with minor changes. Select List from the display options, to keep the classic layout. Besides, this depiction mode is set by default. As you choose representations at module level, you can select and combine different options as you like. So why not display the introductory module as blocks, to welcome participants with a friendly impression? They will be eager to learn more! The final module that includes a question pool should rather be displayed as collapsed? No problem. Just test the new display options and find the most fitting one for your courses!